Strange, A.M, O'Donnell, B., Gamboa, D., & Parks, B. 2013. 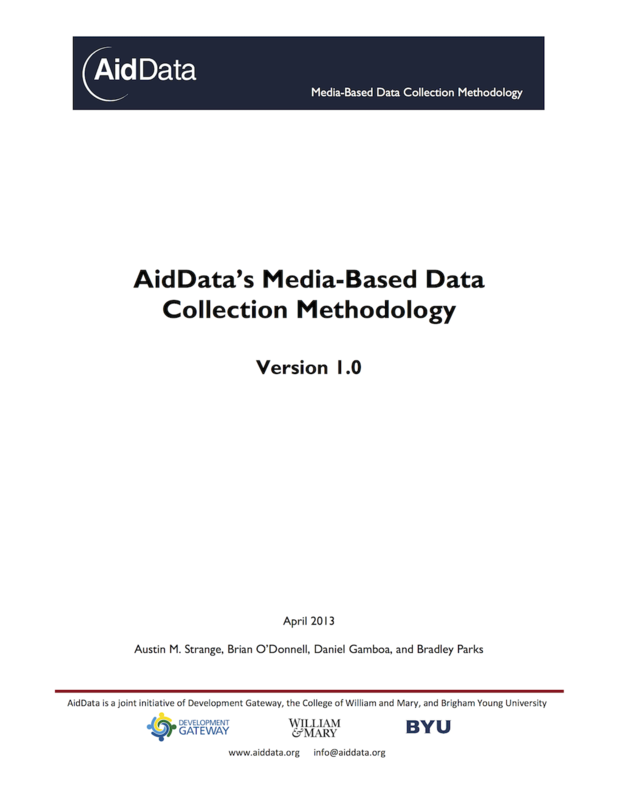 AidData's Media-Based Data Collection Methodology: Version 1.0. Williamsburg, VA: AidData at William & Mary. The "market" for global development finance is changing rapidly: while several large multilateral development banks and Western governments once acted as the primary sources of development assistance, the landscape now features a wide variety of actors with diverse interests and capabilities. Donors like China, Venezuela, Russia, and Iran together reportedly provide tens of billions of dollars of development finance each year, but do not participate in existing global reporting systems, making it difficult to gauge the nature, scope and impact of their activities and fueling uncertainty and speculation about the intentions of these non-Western donors. 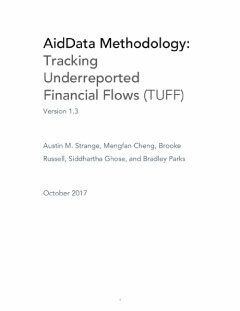 This codebook outlines the set of procedures that were developed, tested, refined, and implemented by AidData staff and affiliated faculty at the College of William and Mary and Brigham Young University during the MBDC China pilot. 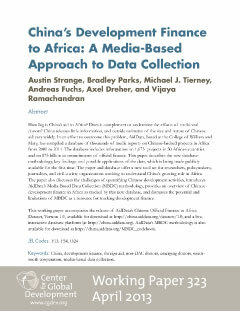 We initially employed these methods to achieve a specific objective: documenting the "known universe" of Chinese development finance projects in Africa from 2000 to 2011, as detailed in China’s Development Finance to Africa: A Media Based Approach to Data Collection. 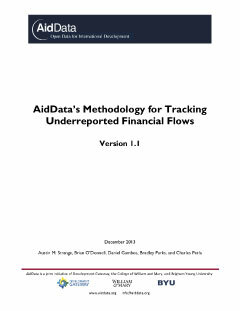 The procedures in this codebook constitute a flexible methodology that can be applied to broader research questions, and to track other development finance flows from donors outside the OECD’s Development Assistance Committee (better known as “Non-DAC donors”). For updated versions of this pilot methodology, see AidData's TUFF Methodology, Version 1.1, AidData’s TUFF Methodology, Version 1.2, or AidData’s TUFF Methodology, Version 1.3.